It is our responsibility to shop around for the best products and deals. When comparing products, besides pricing, we should also compare guarantees and conditions of sale. Products that carry the longest guarantees are obviously our natural choice. Hence, when we encounter a product advertised with a lifetime guarantee, we think that we cannot find a better deal. Unfortunately, our lack of patience to thoroughly read the terms and conditions of these guarantees often leads us to an uninformed buying decision. When we are inclined to purchase a product advertised with a lifetime guarantee, before concluding the sale we should request the seller to provide us with the guarantee’s terms and conditions. In these conditions we should find information on the definition of the lifetime guarantee, what it covers and for how long. The phrase ‘lifetime guarantee’ may refer to the consumer’s lifetime or the product’s. When a guarantee refers to the consumer’s lifetime it means that it remains valid for as long as the original customer owns the product and as long as the company that issued the guarantee is still in business. Usually, such guarantees cannot be transferred from one person to another. Hence, we should look out for such conditions when buying products with this kind of guarantee. On the other hand, a lifetime guarantee may be tied to the product’s lifetime. In this case the guarantee should stipulate the number of years the product is expected to last. This is in the best interest of both the consumer’s and the trader’s. While it is our right as consumers to be provided with the promised commercial guarantee in writing, we should be aware that if a commercial guarantee is mentioned in an advert by a trader, it is binding on that trader even if the commercial guarantee is not specifically mentioned in the contract of sale. When reading the terms and conditions of a commercial guarantee, we should look out for the type of remedies it offers should the product turn out to be defective. Does it offer to repair the product, or provide a replacement? Are all parts of the product covered by the guarantee? The person responsible for the guarantee and how to contact him must also be written in the guarantee. 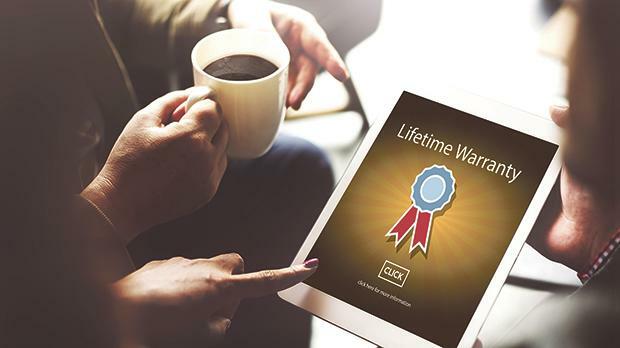 As lifetime guarantees may be somewhat different to what we imagine, it is advisable to always carefully read the terms and conditions and any fine print before we buy. We must also ensure that we are in possession of the proper documentation as evidence of the promised lifetime guarantee. Should a trader refuse to honour such guarantees or change their terms and conditions, consumers may seek the assistance of the Office for Consumer Affairs within the Malta Competition and Consumer Affairs Authority.